History Colorado endeavors to share its collections with all audiences, young and old, distant and near, in person and digitally. As the Exhibits and Loan Registrar, I help facilitate object lending to other institutions throughout the state and the nation. 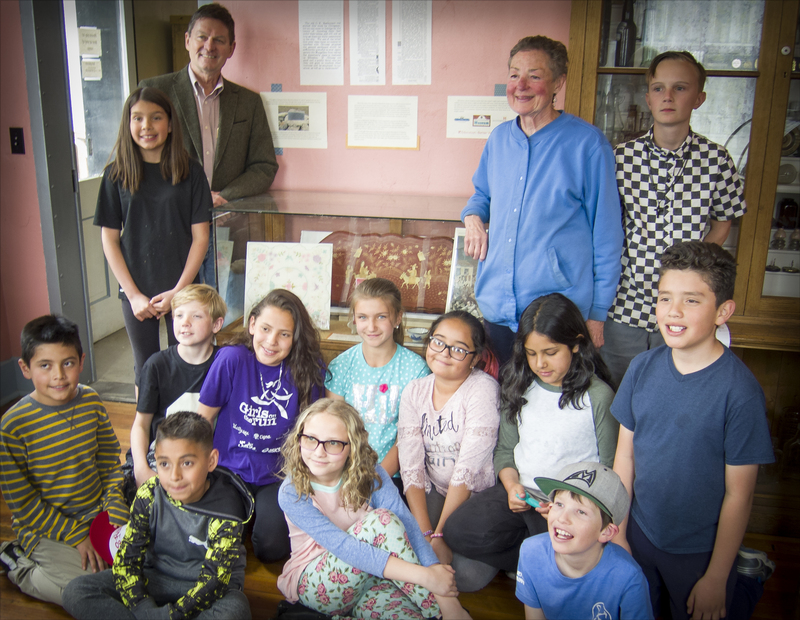 Recently, we made an exciting loan of objects to the San Juan Historical Society in Silverton with the help of fourth and fifth graders from Silverton Elementary. The items on loan are on view through October 2018. Whitney Gaskill, a grade school teacher in Silverton, reached out to History Colorado’s History Curator James Peterson after hearing about the new exhibition Zoom In: The Centennial State in 100 Objects. Zoom In highlights diverse and unique stories throughout Colorado’s history, and Gaskill was inspired to challenge her students to find similar stories and lessons from Colorado's past in their own research. This past spring, Gaskill’s class took a deep dive into the world of becoming historians with the help of History Colorado staff. The students set out to discover what happened to groups of people who contributed to our state but were sometimes left out of Colorado’s narrative. After searching in the local San Juan Historical Society museum and archives to learn more about the violent expulsion of all Chinese immigrants from Silverton in 1902, the students discovered there were no objects at the historical society representing that story. So Gaskill and her students reached out to James and me to see about initiating a loan of artifacts related to Chinese immigration that could be presented at the society’s museum. Over the course of many weeks, I worked with Beverly Rich of the San Juan Historical Society to work out the details of the loan. Beverly was thrilled that a group of kids wanted to see objects reflecting the legacy of Chinese immigration in Silverton. One of the challenges in working with smaller institutions in mountain towns is the logistics of getting objects to those sites, a process that typically requires more material, time, and effort to ensure that the objects arrive safely. I created custom housing for both delivery and display, and James Peterson not only helped the students with their research but also drove the eight hours from Denver to Silverton to deliver the artifacts. It’s such a pleasure to be able to provide the Silverton community with a unique experience with objects from the History Colorado collection. Providing communities unconventional avenues for discovery through the exploration of artifacts is one of the many things History Colorado does so well, and it’s a joy to be part of the team. For more about the Silverton students’ work, check out Gaskill’s website and the videos below. You can also check out our field trips and school resources.